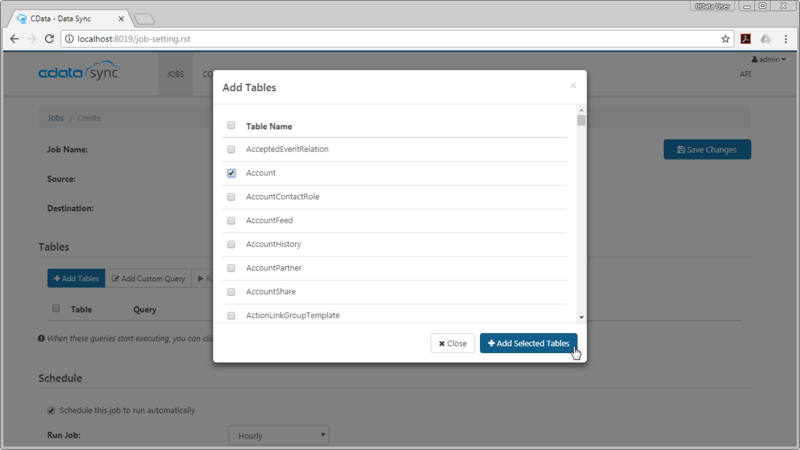 Replicate multiple Dynamics NAV accounts to one or many databases. CData Sync is a stand-alone application that provides solutions for a variety of replication scenarios such as replicating sandbox and production instances into your database. 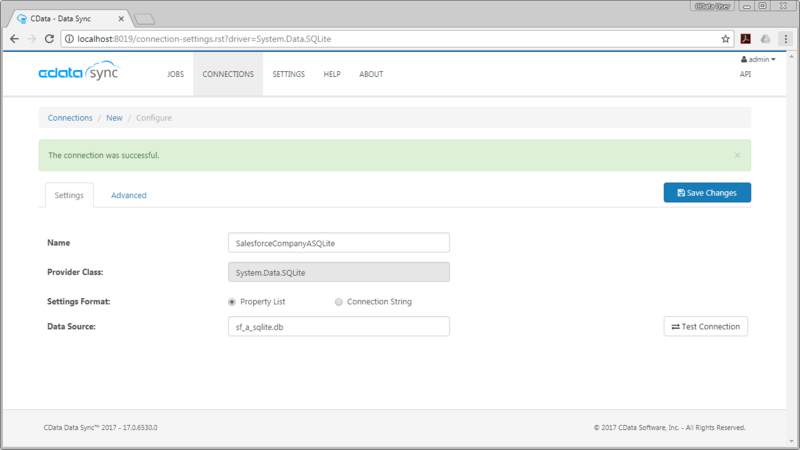 CData Sync includes a web-based interface that makes it easy to manage multiple Dynamics NAV connections. 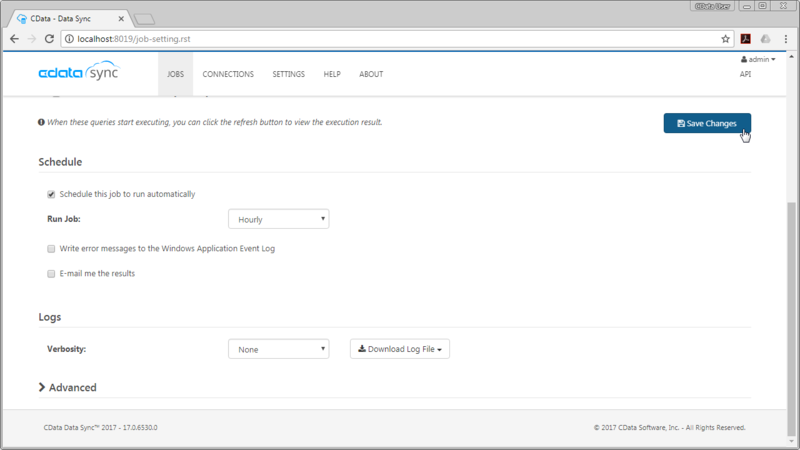 In this article we show how to use the web app to replicate multiple Dynamics NAV accounts to a single database. Using CData Sync, you can replicate Dynamics NAV data to any number of databases, both cloud-based and on-premises. To add a replication destination, navigate to the Connections tab. Select a destination and enter the necessary connection properties. In this article, we use SQLite. Enter the necessary connection properties. To replicate Dynamics NAV to a SQLite database, enter a file path in the Data Source box. Click Test Connection to ensure that the connection is configured properly. Select a source (Dynamics NAV). 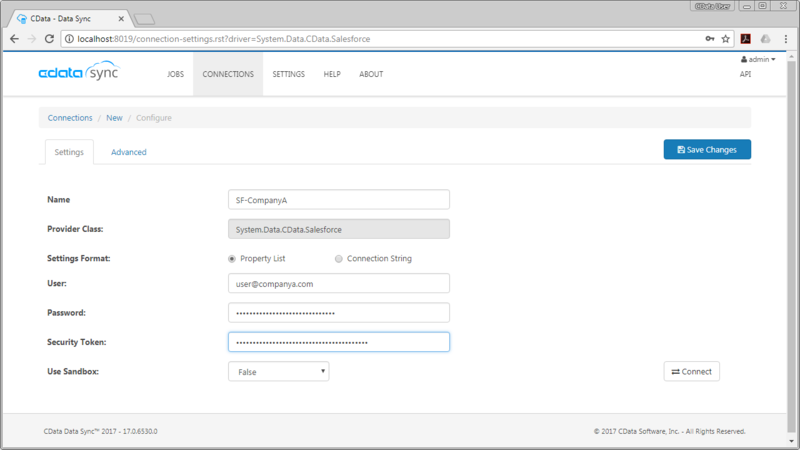 Before you can connect, OData Services will need to be enabled on the server. Once OData Services are enabled, you will be able to query any Services that are published on the server. The User and Password properties, under the Authentication section, must be set to valid Dynamics NAV user credentials. In addition, you will need to specify a URL to a valid Dynamics NAV server organization root and a ServerInstance. If there is not a Service Default Company for the server, you will need to set the Company as well. Click Connect to ensure that the connection is configured properly. CData Sync enables you to control replication with a point-and-click interface and with SQL queries. To configure a replication, navigate to the Jobs tab and click Add Job. Select the Source and Destination for your replication. To replicate an entire table, click Add Tables in the Tables section, choose the table(s) you wish to replicate, and click Add Selected Tables. You can use a SQL query to customize your replication. The REPLICATE statement is a high-level command that caches and maintains a table in your database. You can define any SELECT query supported by the Dynamics NAV API. 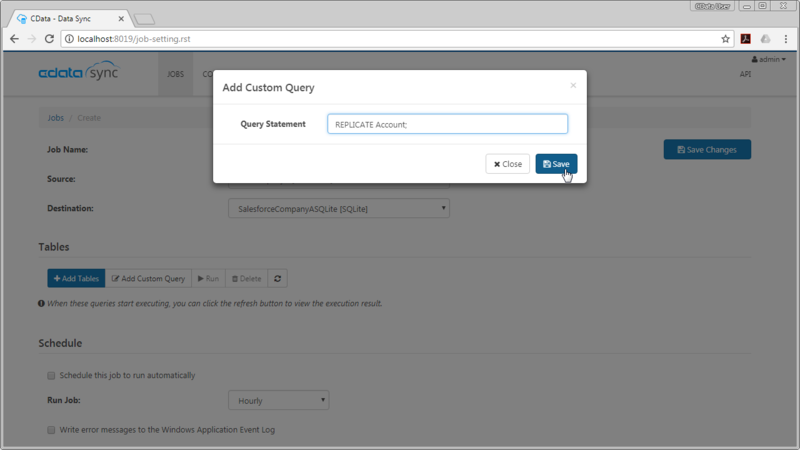 To customize your replication, click Add Custom Query in the Tables section and define the Query Statement. In the Schedule section, you can schedule a job to run automatically, configuring the job to run after specified intervals ranging from once every 15 minutes to once every month. Once you have configured the replication job, click Save Changes. 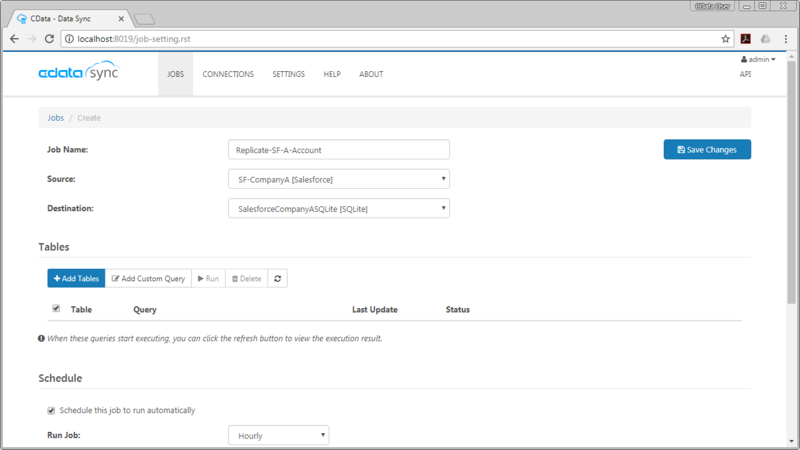 You can configure any number of jobs to manage the replication of the data from your different Dynamics NAV accounts.